The East Coast mainline runs from London to Edinburgh and then on up to Aberdeen. The total length of the whole route is 393 miles. 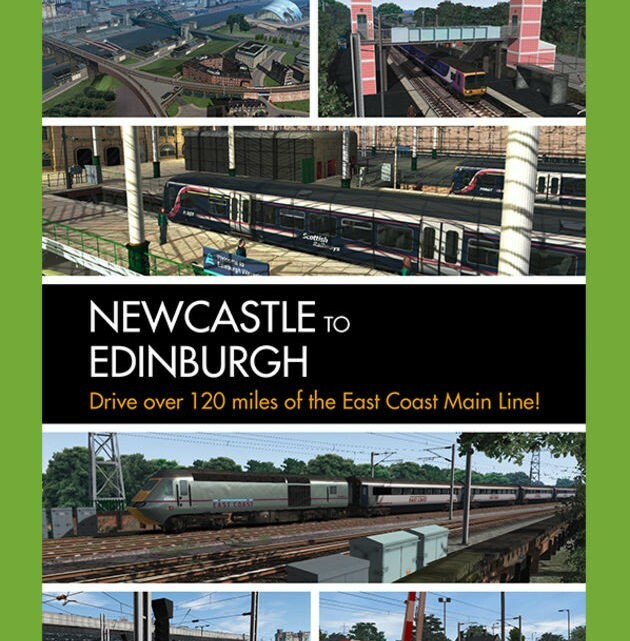 The section covered in this TS2015 route expansion pack runs from Newcastle to Edinburgh – a distance of approximately 125 miles. You begin by working the 3Y14 ‘staff train’, the 04:50 from Newcastle to Berwick, before working the 06:00 first train, 1Y14, as far as Newcastle on the Berwick-Kings Cross service. Drive 55022 ‘Royal Scots Grey’ on the ‘Christmas Cracker’ railtour from Edinburgh to Newcastle. This is a recreation of the real run which took place on 7 December 2012. Train Simulator 2019If you purchased Train Simulator after 20th September 2012 then you will require the European Loco & Asset Pack and the US Loco & Asset Pack (available to purchase via Steam) for the route to display correctly.